When I was in grade school, I didn’t follow the norm when it came to celebrating my birthday in class. Instead of having my guardian whip up that all too ordinary and traditional classroom birthday treat, I had my mom do something else. She took a half scoop of vanilla ice cream and placed it on one of her famous chocolate chip cookies. She then took another one of her delightful cookies and crammed it down on the ice cream, making one delicious homemade ice cream sandwich. She froze them and brought them to school the next day and I was a hero. The ice cream sandwiches made quite the statement against the bland, boring cupcakes that seemed to become the norm every couple weeks or so when we celebrated a birthday in class. I quickly grew to dislike the predictable and thoughtless treat mostly because they were so dry and so small. You could eat a cupcake in one bite if you wanted to…now where is the fun in that? My resentment that started as a kid stayed with me as I became an adult. 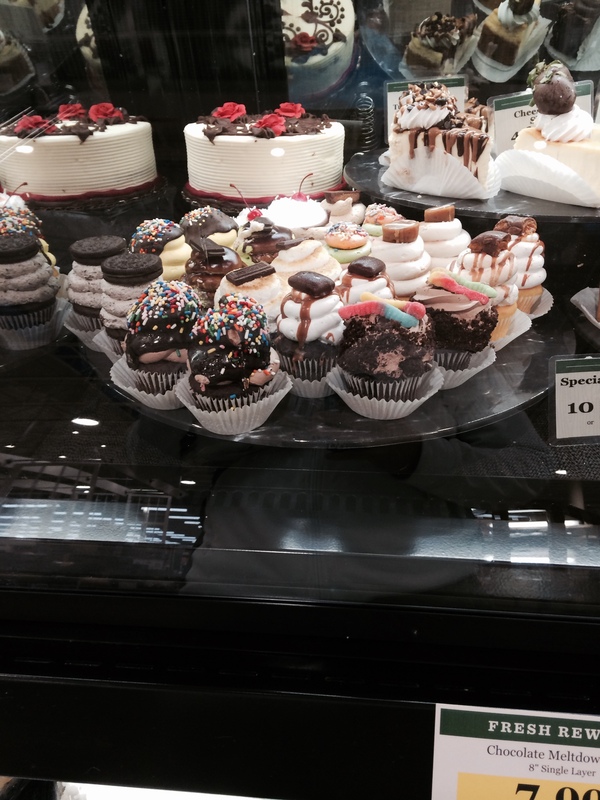 These are cupcakes from when I went to Loew’s this evening. I admit, cupcakes are different now compared to when i was in grade school. I didn’t buy into the cupcake boom that occurred over the past decade. As the making of the treat turned into an industry, I never jumped on the bandwagon. Businesses, television shows, and competitions transformed the cupcake into art. However, to me, the treat was still boring. I admit it, cupcakes did become a little more flavorful and they did become bigger but they just didn’t do it for me. 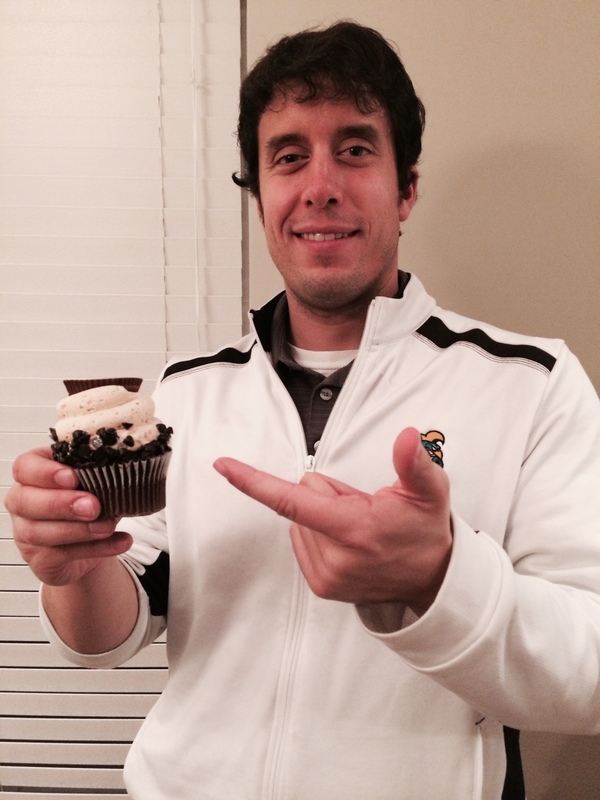 The cupcake still resembled something inferior to an actual piece of cake, the junior varsity version of what it was. Quite simply, if I wasn’t supposed to use a fork to eat it I wasn’t going to take it seriously. If someone holds a gun to my head and forces me to eat a cupcake it is going to be a peanut butter one….even then, I probably still won’t eat it (this went straight to the garbage). So, it goes without saying that I haven’t shed a tear over the past week as the media started to declare the cupcake age dead. Two major players in the industry, Just Baked and Crumbs Bake Shop, closed down their stores all over the country. I hate for people to lose their jobs and for businesses to shut down but if that means that wedding couples will now think twice before having the audacity to serve cupcakes at a reception in place of an actual cake then I am all for it. It is appropriate for me to note that I am a fan of one cupcake shop. There is a very small cupcake chain called Coccadotts. It has a store in Myrtle Beach and my intern used to work there. Out of support for small/local businesses and out of support for Jada, I will give Coccadotts my blessing. All other cupcake shops can go away. Give me REAL cake, give me ice cream, give me a brownie, give me a rice krispie treat…just please don’t give me a cupcake. I am one of those people who never seaw a sweet he didn’t like but a cupcake is the exception. What an awful trend it was. Don’t Blink. This entry was posted in Uncategorized and tagged Coccadotts, Crumbs Bake Shop, cupcakes, Just Baked Cupcakes, Who says cupcakes are passé by brent. Bookmark the permalink.